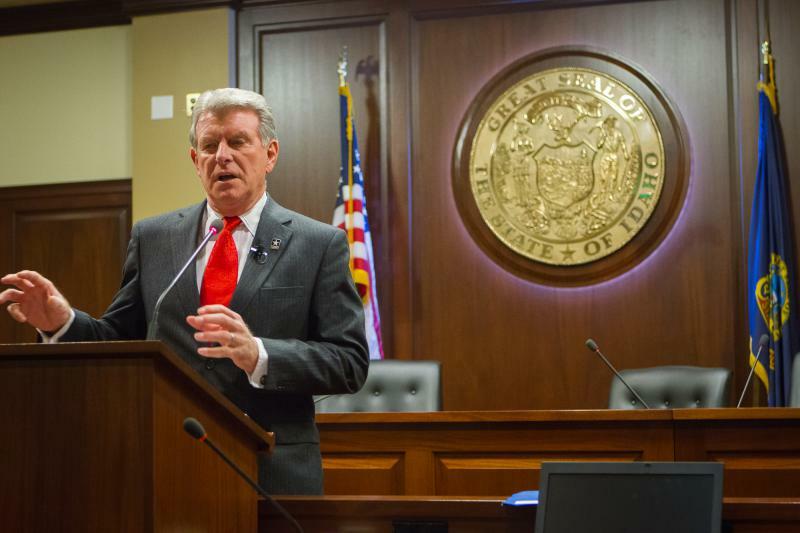 Last year Idaho governor Butch Otter vetoed a bill that would have made it legal for children with severe epilepsy to use a treatment that comes from marijuana. In doing that he also set state money aside for a program for some of those children to access a similar experimental treatment being developed by a pharmaceutical company. Ten months later, a few families have begun using that experimental drug. Identical twins Clare and Julia Gambassi are watching TV in their Boise living room. You’d never guess the girls are 13. They’re the size of kids half their age and the show they’re watching, Daniel Tiger’s Neighborhood, is for preschoolers. The girls have CFC, a rare genetic disorder that affects their physical and cognitive development and is potentially fatal. The girls’ mom Sara opens a box labeled epidiolex and pulls out two small bottles of liquid and a syringe. A month ago Clare started taking this experimental drug to control seizures. She gets the medicine twice a day through her feeding tube. 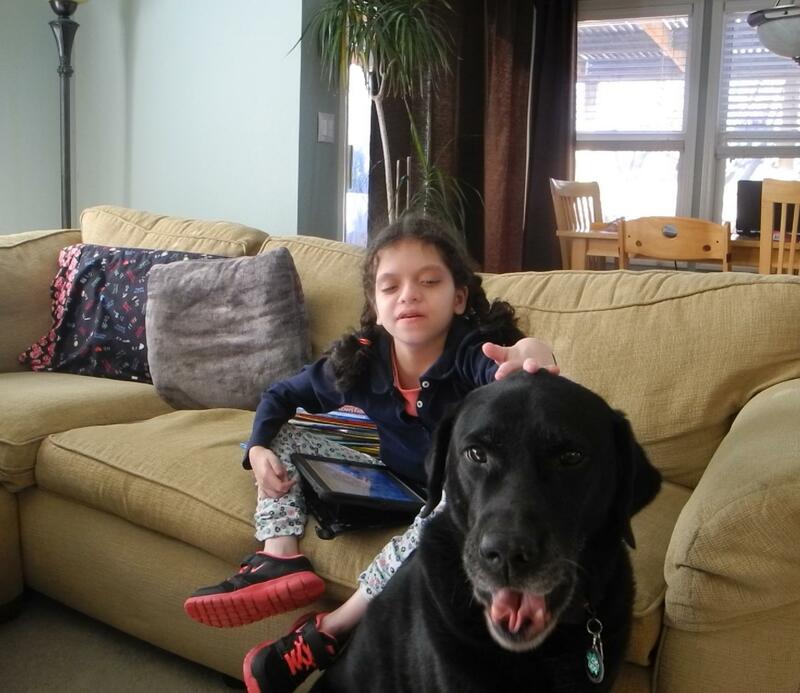 Julia Gambassi and her service dog Zane. Her sister Julia isn’t taking the epidiolex, even though she has the same disorder. Their dad Ron says they didn’t sign Julia up because her seizures aren’t as bad. “And we thought, you know, there’s only going to be a limited number of kids and if there are other kids who had really severe seizures like Clare . . . we felt that it just made good sense that those kids would get the epidiolex before Julia,” Ron says. “Yeah we wouldn’t want to take their spot,” Sara adds. The Gambassis say if Otter had not vetoed the bill, they would have tried the oil sold by marijuana growers in states like Colorado months ago on both their daughters, especially Clare. GW Pharmaceuticals is developing epidiolex. The company has operations in the U.S. and the U.K. and its stock is traded on the London Stock Exchange and NASDAQ. GW CEO Justin Gover says the company was founded in the 90s to investigate the pharmaceutical potential of marijuana. “We have identified a number of interesting molecules within the cannabis plant which we believe have important potential as new therapeutics,” Gover says. In the case of epidiolex, GW starts with the cannabis plant and extracts a substance called CBD. The oil that Idaho lawmakers wanted to make available last year also has CBD. The company argues epidiolex is better than the CBD oil extracted by growers because of the pharmaceutical process. Gover says to make epidiolex they get rid of everything but the CBD molecule. The oil has other stuff from the plant as well. Its proponents say that stuff might have benefits too. Elisha Figueroa says the scientific nature of epidiolex is what made Governor Otter support its use. 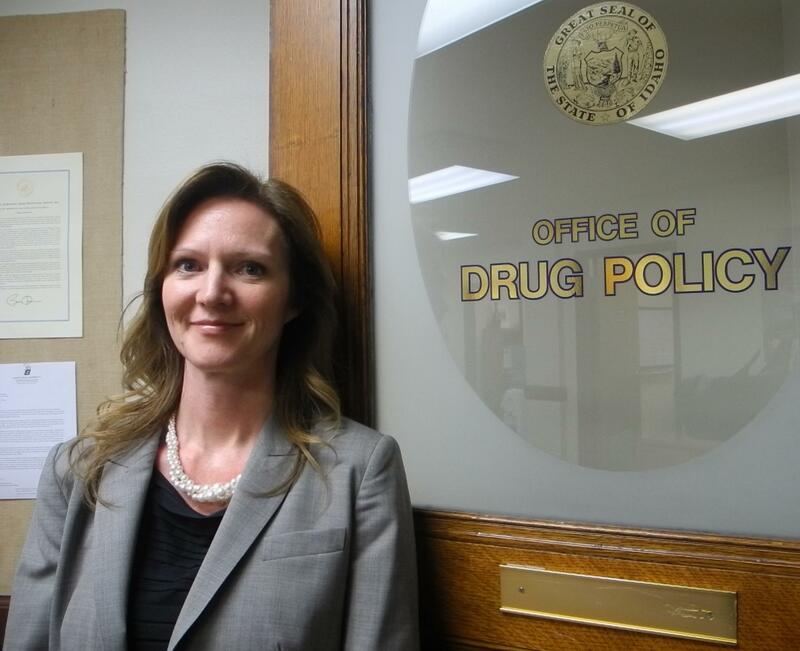 Figueroa directs Idaho’s Governor’s Office of Drug Policy. This time last year she spoke out against CBD oil and promoted epidiolex as an alternative. She says "homegrown" CBD oil is not medicine as we understand medicine in America. “Every other medication that we have in this country has gone through a formal system to ensure that it’s safe, effective, we know what’s in it, we know how to dose it and we know what it interacts with,” Figueroa says. Last year the FDA identified some companies it said were selling CBD oil with little or no CBD and warned others not to make unsubstantiated claims. That oil is legally available in four-fifths of states, but not Idaho because of Otter’s veto. But some Idahoans can get the more controlled epidiolex through the FDA’s expanded access program also known as compassionate use. Otter set money aside for a doctor to oversee that in Idaho. This is not a clinical trial and the FDA will not consider data from it when evaluating epidiolex’s effectiveness. It’s too soon to know if the drug will help Clare Gambassi, but her parents say they’ve seen some encouraging signs. 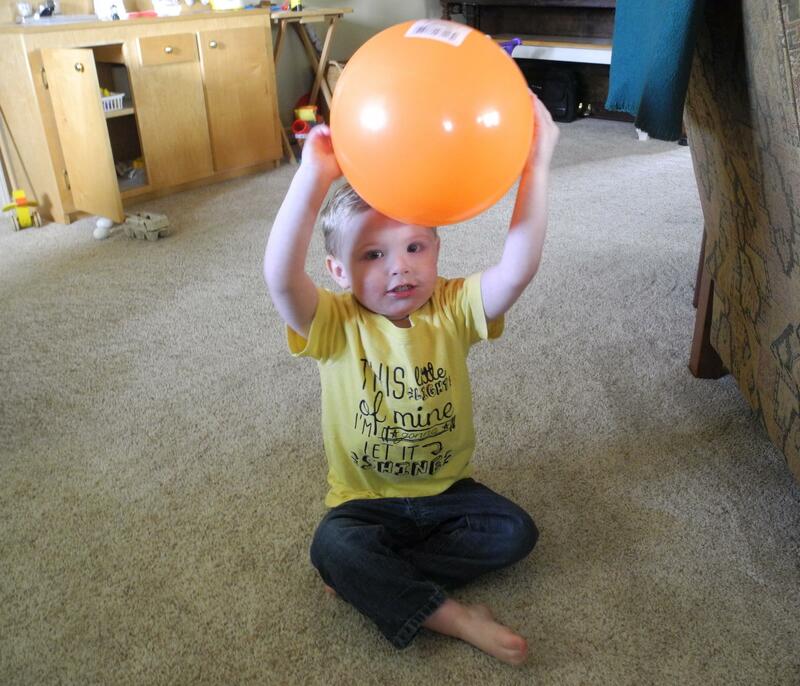 In another Boise living room, two-year-old Owen Watson is doing what two-year olds-do. He’s running around getting into everything. Owen has a form of epilepsy called Dravet Syndrome. His mom, Austin Watson, says he had his first seizure two years ago this month when he was three months old. GW Pharmaceuticals says epidiolex is most effective on patients with Dravet and another form of epilepsy called Lennox-Gastaut. Austin Watson, Owen’s mom, says they wanted to apply to get epidiolex, so they asked Owen’s neurologist to look into the program. The doctor told them he wouldn’t qualify because he doesn’t have enough of the right kind of seizures. 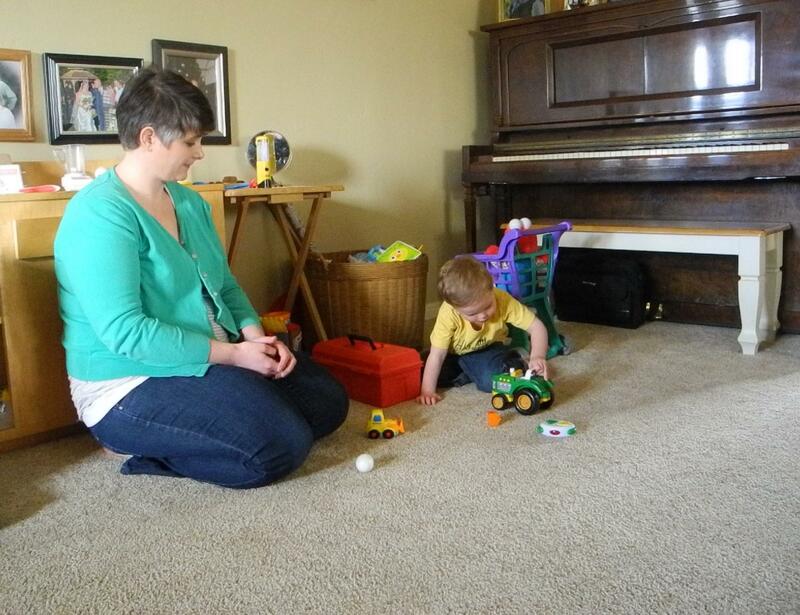 Watson says Owen has about three long-lasting, full-body seizures a month. He needed four to qualify. Like most kids with Dravet, Owen mostly has what are called myoclonic seizures. He has one of these every few minutes on this winter morning. He’ll be playing and suddenly his upper body jerks backwards like an invisible hand shoved him hard in the chest. Then just when it looks like he’ll hit the floor, he jerks back upright. Then he looks dazed for several seconds. Though he seems like a pretty typical kid, Austin Watson says the seizures are starting to impair Owen’s cognitive and physical development. She’s angry that these frequent, smaller seizures don’t count in applying for the epidiolex program because Dravet is characterized by them. Its longer name is severe myoclonic epilepsy of infancy. The FDA makes compassionate use programs difficult to get into in part to make sure there will be people to participate in clinical trials that include placebos. So far 11 Idaho kids are taking epidiolex. Those running the program say two or three more a week will likely be added for the next two months. Elisha Figueroa, the governor’s drug policy advisor, calls this good progress. That estimate of 25 kids is controversial. It was based on early numbers of how many families had signed up for Utah’s CBD oil registry. Advocates for that oil in Idaho think it’s too low. And those four who have not qualified don’t include Owen Watson or Julia Gambassi or others who might have benefited, but whose parents did not sign them up for a variety of reasons. The Gambassis are grateful for the chance to try epidiolex on one of their daughters and Austin Watson is glad the state is doing the program, but both families think CBD oil should also be available. Figueroa says the governor will only support marijuana-based treatments that go through the FDA approval process. State Senator Curt McKenzie (R - Nampa) who introduced the bill to allow CBD oil last year says there probably won’t be an attempt this year because the governor would veto it again. Epidiolex could become commercially available by late 2017. Friday afternoon on the steps of Idaho’s Capitol a group of people plan to break the law. It’s a protest that could come with some serious repercussions for those involved. 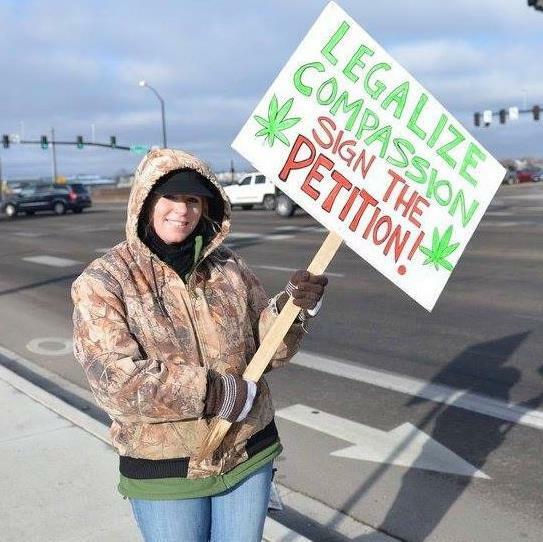 Idaho has some of the strictest marijuana laws in the country. If Serra Frank is caught with an ounce, she could reasonably expect to pay a $1,000 fine and spend a year in jail. But Frank says she will be smoking pot at the Capitol on January 1 anyway. Gov. C.L. "Butch" Otter has vetoed a bill that would have legalized a marijuana extract for patients with severe forms of epilepsy. In his veto letter, Otter said his administration has strongly opposed the legislation because "there were too many questions and problems and too few answers and solutions in this bill to let it become law." Idaho lawmakers Monday passed a bill to allow parents to treat epileptic children with an oil extracted from cannabis. 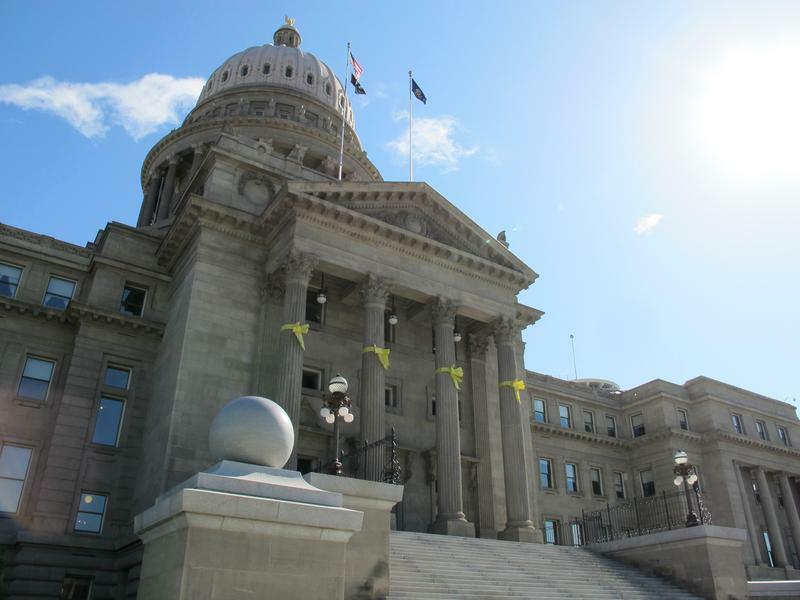 Idaho’s House approved the bill 39-30 after more than an hour of intense debate. Opponents, such as Rep. Luke Malek, R- Coeur d’Alene, argued the bill legalizes marijuana because the oil has small amounts of the chemical that makes pot users high. “This bill changes the approach Idaho has taken to drug policy and does so based on anecdote not scientific evidence,” Malek said.